How does one small mass of tissue move our bodies to achieve athletic feats, inspire creativity to produce artistic masterworks, and make each of our personalities unique? 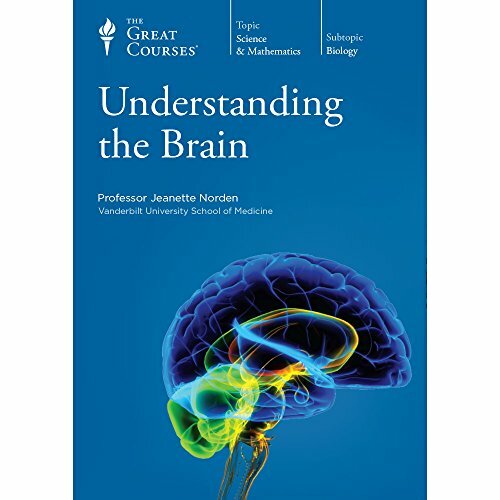 In this 36-lecture course, you'll delve inside the complex organ that is the human brain and see how it works, from the macro view of its organization down to the microscopic level of intercellular communication. Delve deeply into the inner workings of the brain with an acclaimed neurologist by your side. Begin with the development of the brain from the womb through adulthood, then analyze the way the brain processes the world around you through sight, hearing, smell, taste, and touch. Look at the neurological mechanisms behind emotions, musical abilities, addiction, and depression, and unlock the mysteries of sleep and dreaming. While parts of the brain are still a mystery, there have been unparalleled advances in neuroscience in the last 50 years thanks to technologies like MRIs and PET scanning. Join us for a fascinating journey into the most important organ in your body and gain a new appreciation of everything it does for you every day. If you have any questions about this product by The Great Courses, contact us by completing and submitting the form below. If you are looking for a specif part number, please include it with your message.